You think, writing an email is old-fashioned? The new way to attract people to your E-commerce business is social media and mobile marketing? Of course, social media and mobile marketing are on the go but email marketing is more important than you think. Emails provide you a direct line of communication and it doesn’t cost your business much. In this blog post, I will tell you more about what email marketing is and how it can help you to grow your E-commerce business. I will give you an overview of some platforms and tools you can use for email marketing and will show you, why email marketing is the key for your E-commerce business. How can email marketing help you to grow your business? and to generate leads, customers and conversions. Email marketing is, in its broadest sense, every email that is sent to a potential or current customer. It allows you direct contact with people, that are interested in your product and are passionate about your industry. Why is email marketing the key for your E-commerce business? Facebook, Twitter, and Co. are a great way to distribute your content worldwide and to build brand awareness. A study from McKinsey shows that email marketing is 40x more effective than social media marketing when it comes to generating sales. Why email marketing is more effective than social media marketing is easy to say. Emails help you to get in contact with your customers in a more direct way than with social media. The inbox is a customer’s most personal online space. With emails, you bring the conversation about your business and products into this personal space. Sending emails to your customers (and potential customers) will help you, to drive more traffic to your website and might insult in more conversions for your business. According to the Direct Marketing Association, the ROI of email is 3,800% – that’s quite a lot. You have a customer, who hasn’t shopped in a while? You can re-engage your customer when you send him or her an email. It’s Christmas or the birthday of a customer? You should send emails for special events such as holiday, birthdays, and other events. If you include special offers for such occasions, you can boost your traffic and conversions even more. Email marketing allows you to build a relationship with potential customers and already existing customers. The national client email report says that 72% of people would rather receive promotional material via email than emails from social media. Also 38% of people say, receiving special offers is the top reason they subscribe to an email list. But there is one thing you should always keep in mind: don’t spam your customers. If you send too many emails to your customers, this can easily backfire. Now I will tell you more about how you can grow your E-commerce business with email marketing. 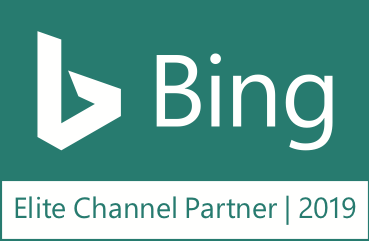 The first thing you should do is choosing the right tool and platform. Choosing the right tool and platform for your email marketing is a necessary thing. In the following part of this blog post I present you two common email marketing tools – MailChimp and HubSpot. MailChimp is a perfect tool for sending out newsletters. It’s an email marketing tool that comes with many features. 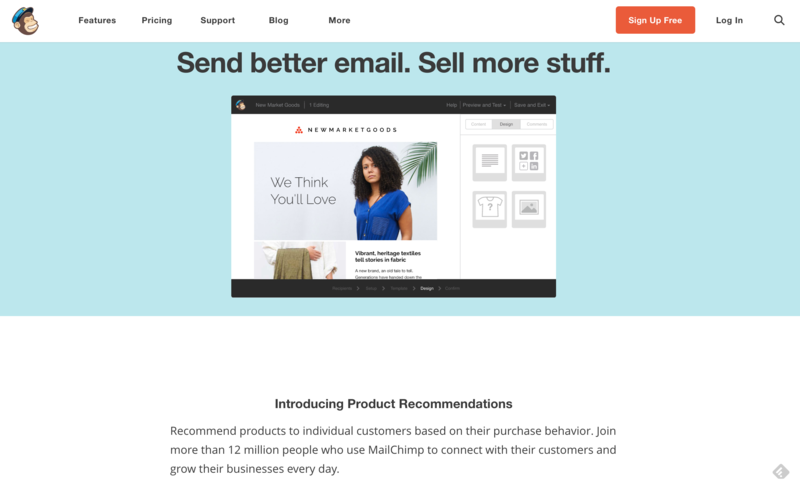 You can connect your store with MailChimp to create targeted campaigns and automate helpful product follow-ups. It also helps you to learn what your customers are purchasing so you can send them the right content within your email. Other features that are coming with MailChimp are email templates and multi-user accounts. To make sure that your emails get to the right people at the right time, you have to opportunity to use advanced reporting features and a robust marketing automation. With MailChimp you can send up to 12,000 emails per month and you don’t even have to pay a cent for this. How much do you have to pay for MailChimp? You can decide between the Starting Up, Growing Business, and Pro Marketer packages. With the Starting Up package, you can have up to 2,000 subscribers and 12,000 emails per month for free. You can get the Growing Business package for $20 to $35 per month with 1,001 to 2,600 subscribers and unlimited emails. You can upgrade this package to the Pro Marketer package where you have more features and $199 per subscription. HubSpot is another common tool which offers you a CRM, marketing and sales software. With the marketing software, you can grow your email list, integrate analytics and tailor emails. You can create and edit the content for your email easily – coding knowledge is not necessary for this software. You can use pre-existing templates and you can also create your own templates. A nice feature that comes with HubSpot are A/B tests. With this splittest, you can test every element of your email to improve the performance. This is a feature you can only use in the enterprise edition. How much is it? The basic package includes 100 contacts and costs about €185 per month. It’s the beginner version for those who are new to inbound marketing. The pro package includes 1,000 contacts and costs about €740 per month. The enterprise edition costs €2,200 per month and is for 10,000 contacts. To get a more detailed insight in the pricing just visit the HubSpot website. You wondered why this software is more expensive than MailChimp? Email marketing is just a small part of this software. 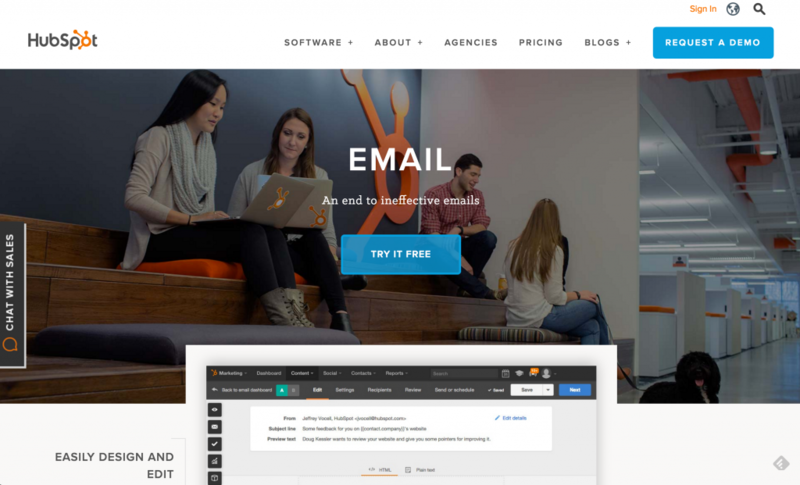 Hubspot is more an all-in-one package for inbound marketing. It can help you when it comes to Blogging, SEO, Social Media, Lead Management, Landing Pages, Calls-to-Action, Analytics and Salesforce Synchronization. Sometimes this might be too much for your needs. Another thing you should keep in your mind to grow your E-commerce business is defining your email list. In the following paragraphs, I will show you different ways to segment your email list. One way to segment your email list is to target the specific interests of your customers. Imagine that you have an online store where you sell apparel for men, women, and children and you send out one email where you advertise each of this apparel sections. When you are a woman, you might not be interested in apparel for men. If you are a mother, you might be interested in apparel for children. If you send out your email, you can track on which of the items the customer clicked. If the customer clicked on a skirt you could send him or her offers about skirts. If the customer clicked on a shirt, you could send him or her offers about shirts. That’s how you can segment the interests of the customers to send them appropriate email content. When you segment your customer types, you can easily target your emails with specific content to the right people. For example, you can send a loyal customer a discount for his or her next shopping adventure. Try the first and only tool specially designed for Google Shopping! Another way to segment your customers is the location. This is very important when you have a physical store and an online store. If you want to let the customers know, what happens in your physical store, you can send them an email as well, but you should only target the people in your region – others might not be interested and could get annoyed. For your online store you have the opportunity to send country-specific promotions. Many email marketing services already provide the opportunity to segment the customers based on locations – if not, you can use your own customer database to find their location with the billing and shipping addresses. The last thing I will write about today is tracking and analyzing. Your email analytics are one of the most important things to grow you E-commerce business. You not only see how many email subscribers you have, but you also get insights about the Bounce Rate, Open Rate, Click-Through Rate and Opt-Out Rate. Tracking and analyzing also helps you to find the optimal time to send your emails. You can make A/B tests to see at which time your customer open the emails and how they interact with them. Your peak purchase times also gives you insight into your customer’s online habits. After analyzing all these insights, you need to adjust your strategy and emails. Try around and find the best combination which fits your business. But never try or change something without analyzing the numbers! How can you track your customer’s actions? My answer is Google Analytics. Google Analytics is one of the best tools to analyze email marketing and the traffic of your website. You can track down almost everything and (maybe more important for this use-case) how the visitors interact with your emails. In my opinion, Google Analytics is a bit hard to understand if you have not been working with such a tool before. If you know how to use Google Analytics, you will get all the information you need. If you don’t want to work with Google Analytics, most of the email marketing platforms and tools already have a tracking opportunity in their features. As you can see, email marketing is a really good way to grow your E-commerce business and you can also find lots of information about it on the internet. 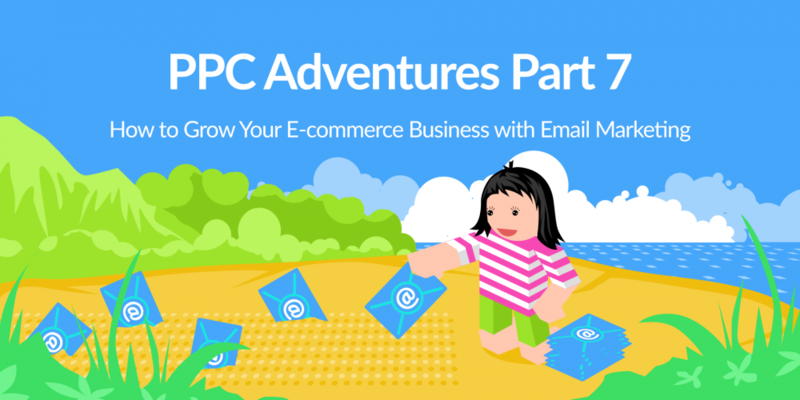 I didn’t want to overstrain you with too much information in this blog post – that’s why I will show you some best practices for email marketing and email marketing strategies in the next PPC Adventure.